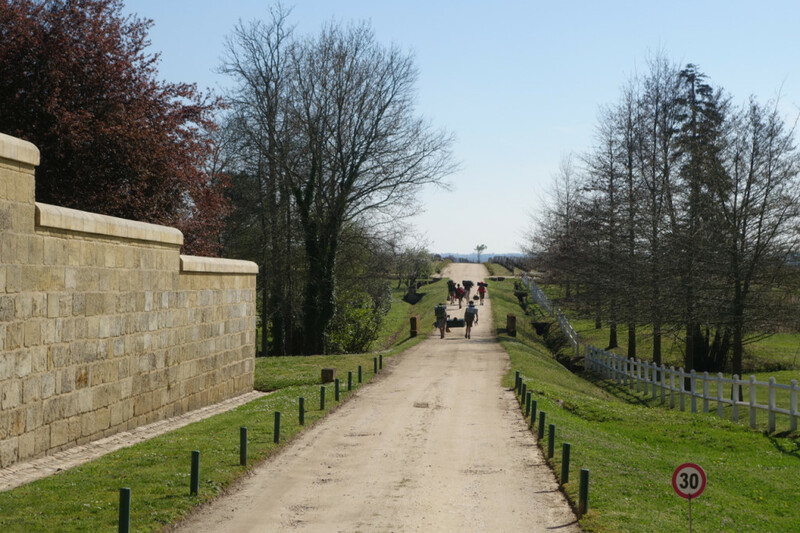 It has become a tradition: Château Bellefont-Belcier welcomes the Cercle Rive Droite and the Grand Cercle clubs. All in all, there are over 200 wines to sample! The weather is glum this morning. Things are getting serious. In light of the decision of the Union des Grands Crus de Bordeaux to do away with blind tastings, to taste partly blind (as we are doing here at the Cercle) is only vaguely interesting. We are entering into the rhythm of it as a distance runner would into the forests of Finland; rhythm, heart rate and breath are in sync, one wine after the other, aiming to get to the heart of each. To link flavor with origin. What grape was this wine made with? Above all, which place and what esthetic does this wine convey? And finally, where can it be placed on a qualitative scale whose levels go from average to extraordinary, even if that means using grades to distinguish quality in the same category. In this case, it’s useless to use olfactory descriptors, as gustatory analysis is the primary criteria. 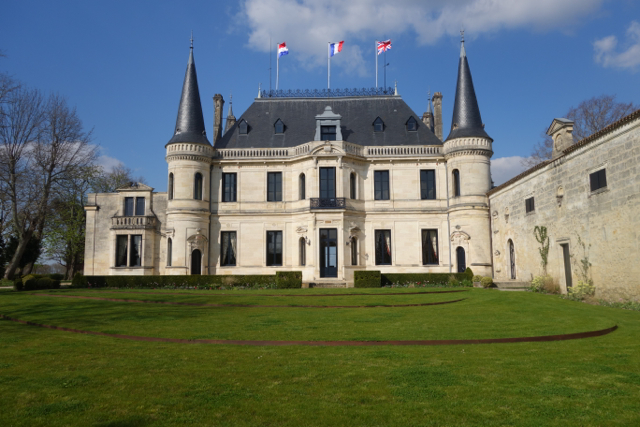 Four and a half hours later, I’ve reviewed all the Left Bank wines; from superior Bordeaux to Pomerols, from Fronsadais to Côtes de Bordeaux. The time has come to draw out the contours of a verdict; the wines are generally colourful, aromatic, fresh. There are some notes of somewhat withered fruit. They are the sign of assertive maturation. But it’s mostly when it comes to tannins and general balance that a difference can be perceived. Some wines are too woody, over-extracted (that often goes together), and they are clearly blowing their own trumpets. Those who produce them have obviously not yet come to terms with the fact that a shift is taking place in Bordeaux and elsewhere. Something else is happening; the various terroirs are playing their part in this vintage. In broad terms, the limestone, clay-limestone and clay soils are doing better than other types. The culprit is a very dry climate with a spell of four months (April, May, June and July) marked by a severe shortage of rainfall. 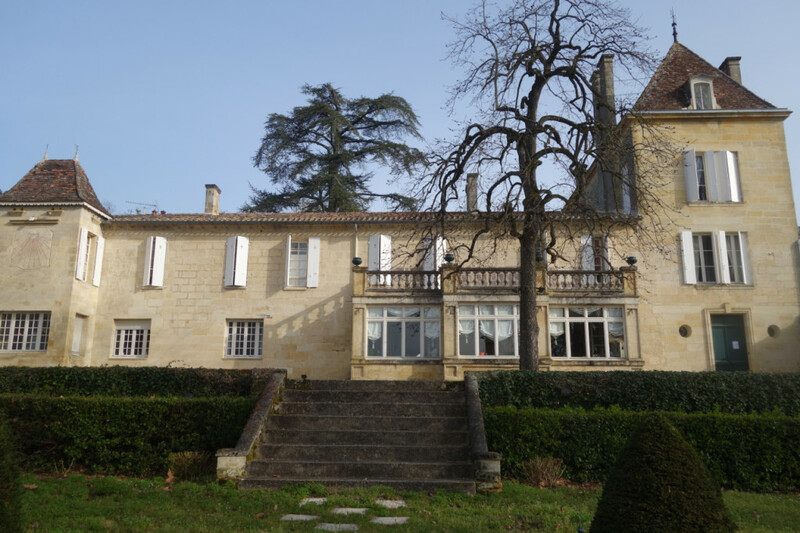 A short stop in Figeac where I am welcomed by Fréderic Faye who invites me to try a lovely 2015 Figeac, and where I am taken aback by the presence of a group of backpack-carrying boy scouts roaming the château’s magnificent garden. “It’s a Manoncourt family tradition to invite scouts to camp out in the park. They are so helpful and always come in to ask us if we need a hand”, explains Mr. Faye. So the remedy against little savages, fanatics and growing impoliteness is to reactivate the virtues of the Scout movement, as any self-respecting politician might say. I’m racing towards Tertre Rotebœuf. I’m late. 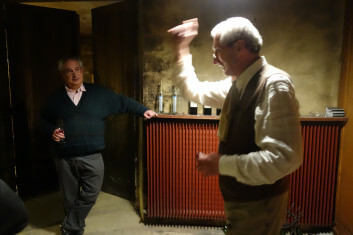 François Mitjavile has already started the tasting. The first wine, presented as a Domaine de Cambes, is absolutely amazing. Michel Bettane gives me an ecstatic look. The eulogies are flying high. “Damn! So sorry about this, I made a mistake and served a Roc de Cambes instead of a Domaine de Cambes…”. That’s unfortunate for the Domaine de Cambes which might suffer as a result, placed right after such a gem. Well, it doesn’t. There’s a similar aromatic grace, dazzling and exuberant, a similar carnal presence. The only distinction is the grain and shape of the tannins which are more refined with the Roc. 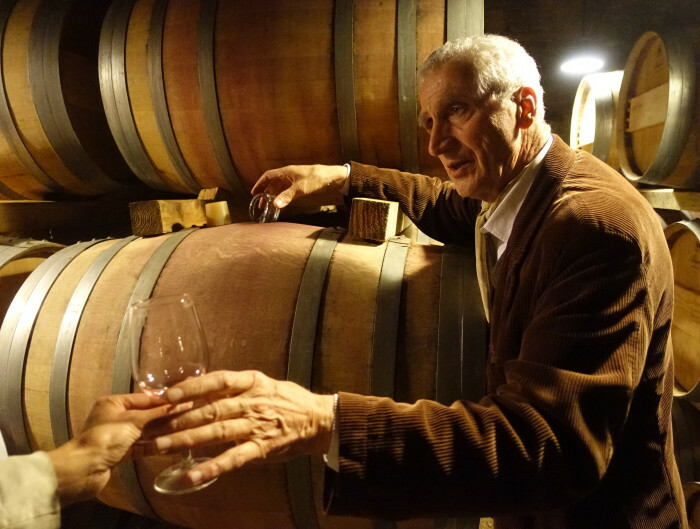 As for the 2015 Tertre Rotebœuf, it embodies the beauty of this vintage delightfully. Intense, vibrant and joyous; it is an artist’s wine created by an…artist! The day has almost ended. The time has come for reflection. 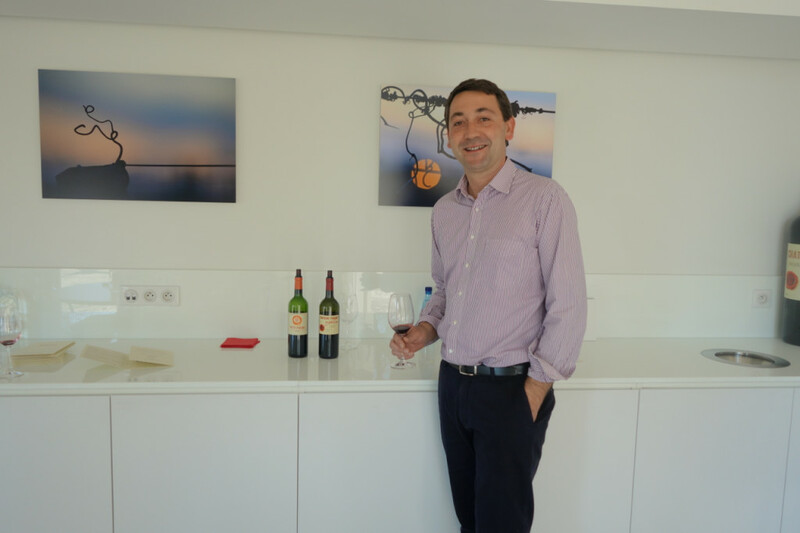 François Mitjavile asks us which wine we would like to taste. Bettane chooses a 2006 and 2007 Tertre Roteboeuf for their authenticity, and also because François has given us a superb 2007 vintage. The proof is in the glass. The 2007 is delightfully fresh, with a symphony of tobacco, fresh fruit and spicy notes. Indeed, the 2006 is its exact opposite. 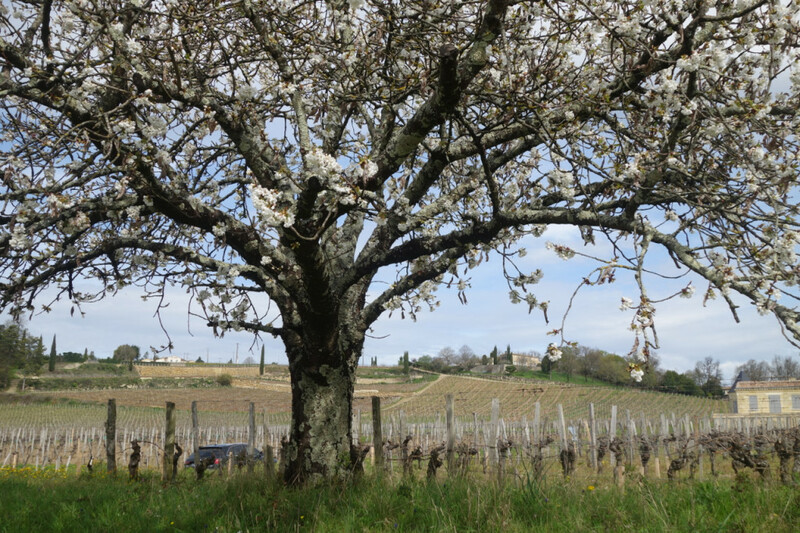 “Just before the harvest there was 200mm of rainfall and the fruit got a bit damaged”, explains F. Mitjavile. Today, the aromas are fantastic; there are roses, peonies, with a lovely fresh expression and finely powdered tannins… “It’s as if you were kissing the cheek of a granny who’s just dusted powder on her face”, says someone, seeking intricate Proustian inspiration. A journalist offers a more direct opinion on the 2006: “This wine looks a lot like you, François, it’s very elegant…”. Without missing a beat comes the masterly, philosophical reply: “As I am the most advanced in the knowledge of myself, I can assure you that you’re wrong; I am a pig…”. So that’s that. I’m back on the road towards Castillon where we will be dining with a few friends as well as Christine and Stéphane Derenoncourt while sharing a few very well chosen bottles: Champagne Origine, J. Selosse ; Rangen de Thann, 2008 Clos St-Urbain, Zind-Humbrecht, 2005 Chablis Les Clos, Dauvissat ; 2012 Echezeaux, David Duband ; 2012 Chambolle-Musigny Les Cabottes, Cécile Tremblay ; 2001 Clos Saint-Denis, Domaine Arlaud. A very Burgundy dinner, in fact. A round of applause is in order! 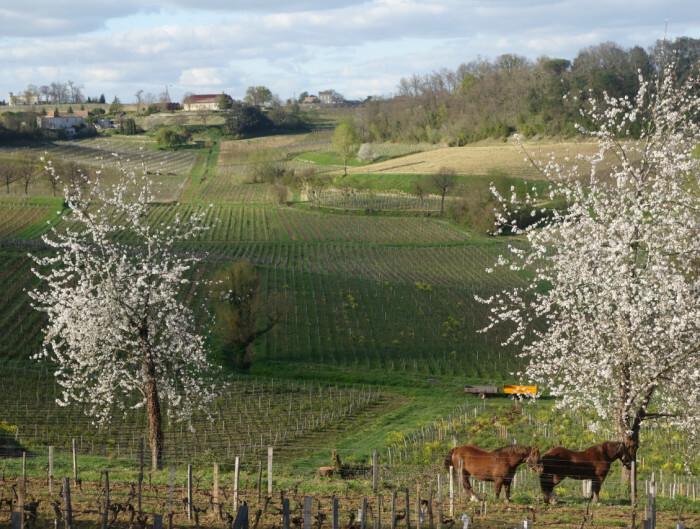 And now, it’s time to head back to my solitary retreat at the heart of a vineyard, just across Saint-Emilion.